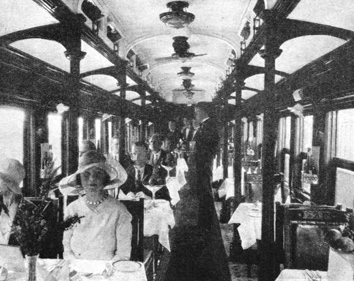 Dining car circa 1935 of one of the most luxurious rail services in the British Empire at the time, the South African “Union Limited”, as the Blue Train was called. It covered 956 mi between Cape Town and Durban. Equipped with running hot & cold water, & electrically lit cabins, it also had hot & cold shower-baths in sleep cars. 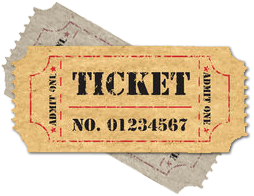 An attendant was stationed in each carriage; train staff undertook shoe-cleaning & provided a general valet service; and the deluxe expresses had fully qualified chefs. Luxurious lounge cars where passengers can enjoy the breathtaking scenery in their own comfort whilst unwinding with family or friends. Here you can enjoy a refreshing beverage while being served by our friendly staff.